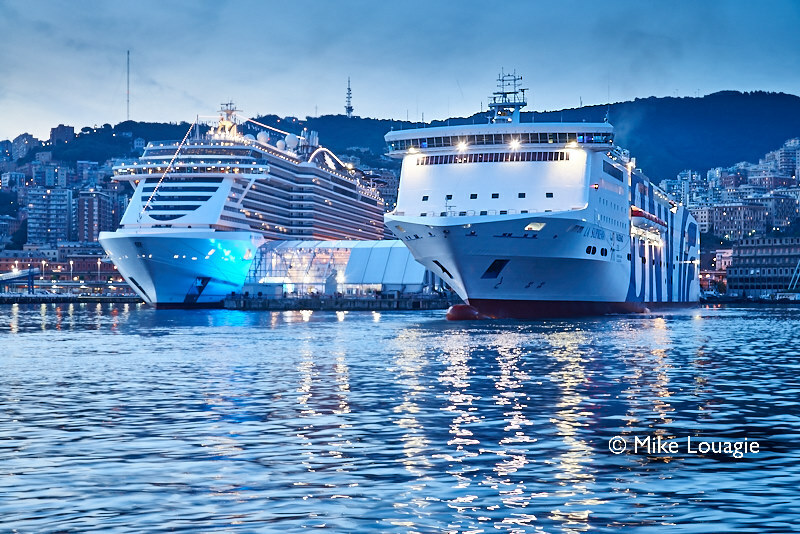 Genoa is a busy cruise and ferry port. Last Saturday (June 9), MSC SEAVIEW was christened, again by Mrs Sophia Loren (for the 13th time!). But…what does this have to do with ferries? The MSC Group also owns the ferry company Grande Nave Veloci, something ignored by a lot of guests, even though many of them were travel professionals. It might have been a coincidence, but still, the fact to have the ferry LA SUPREMA being berthed almost for 24 hours next to the new MSC SEAVIEW certainly created awareness. Ferry Shipping News is looking forward to the naming ceremonies of the new GNV ferries under construction in China.